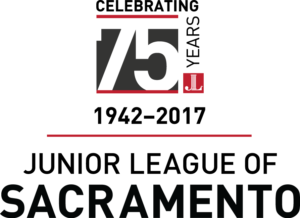 On Saturday, April 7, more than 200 members, guests, and supporters gathered to celebrate the legacy of JLS at our 75th Anniversary Gala. Hosted at the Croatian-American Cultural Center, the event featured two VIP Cocktail Hours, an elegant menu, live music by the Quincy Brown Band, mistress of ceremonies Kitty O’Neal, and more. Thank you to our major sponsors – State Street Corporation, the Patricia & Donald Ingoglia Family, Friedrich Real Estate Group, and Evangeline Scott – Finance of America. One major highlight was Christine Briceno’s personal story of overcoming trauma in her childhood with the support of the Children’s Receiving Home of Sacramento – co-founded by JLS in 1944. Christine helped us to understand the true impact of our work in the community, and thanked the Junior League of Sacramento for our dedication over the years. 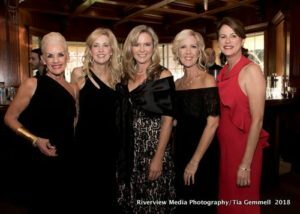 Thank you to the Signature Event Committee for a wonderful evening and a successful fundraiser to continue the mission of the Junior League of Sacramento! Learn more about the Junior League of Sacramento’s fundraising or make a donation here, or contact Fundraising Vice President Holly Wong.